The European Council of Optometry and Optics (ECOO) is the European organisation which represents the interests of optometrists and opticians from 24 countries. It aims to promote eye health to the public across borders and to harmonise clinical and educational standards of optometric and optical practice throughout Europe. To improve vision and eye health by providing high-quality, cost-effective optometric and optical services across Europe. To improve eye health and vision for all and eliminate avoidable blindness and visual impairment in Europe. To create a harmonised professional and educational system for optometry and optics based on the European Diploma in Optometry and the Qualification in Optics. To develop the scope of practice for optometrists and opticians to the degree that the same high standards apply and are mutually recognised in all European countries. ECOO offers a platform for the exchange of information among members, and supports its members in their national advocacy efforts in addition to representing the professions’ interests at European level. ECOO is also establishing an accreditation process for the European Diploma in Optometry and the European Qualification in Optics. 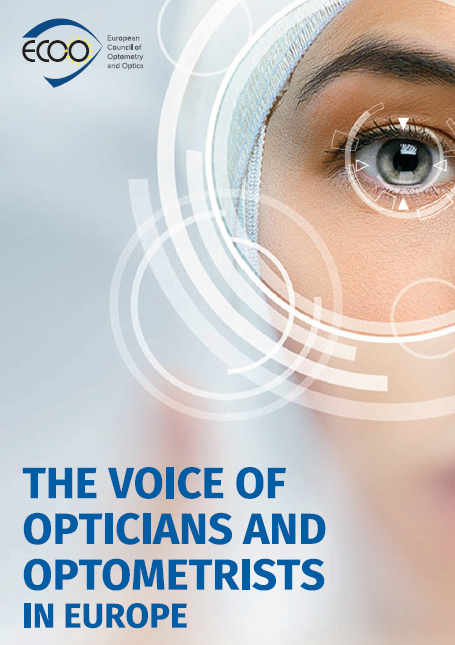 To find out more about how ECOO can support your association, please read our leaflet, “The voice of opticians and optometrists in Europe“. The history of ECOO goes back to the year 1960, when very motivated and future-orientated colleagues in Belgium, France, Germany, Italy, Luxembourg and the Netherlands established the Groupement des Opticiens du Marché Commun (GOMAC). Subsequently, the Pan European Group (PEG) of the former International Optometric and Optical League was established. In 1992, GOMAC and PEG merged to create the European Council of Optometry and Optics (ECOO) of today. During the last five decades ECOO has developed into an organisation representing over 75,000 practitioners in 24 European countries. In 2020, ECOO and its predecessor bodies will celebrate their 60th anniversary! To learn more about the history and origins, please read our History Booklet.